Witness the history of flight, and man’s obsession to conquer it, with the Flight Mobile, 1920. From stainless steel wires hang four lightweight aeroplanes, including some very early models that set the standard for future aeronautics. Lightweight planes made from plastic. Support made from wire and twine. 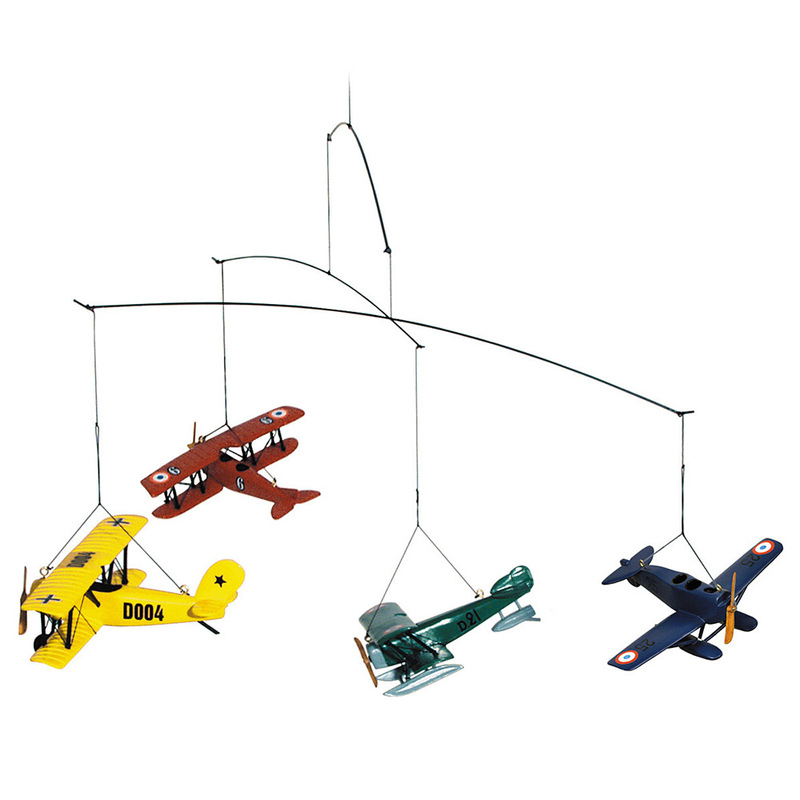 Four aeroplane colours and models. Pre-assembled, just extend and hang. Dimensions: Approx. 66cm (l) x 30.5cm (h) x 58.5cm (w).